John Michael McDonagh’s Calvary is, among other things, a bit like one of those exercises in what moral philosophers call trolleyology. This takes its name from a classic problem originally proposed by the philosopher Philippa Foot about whether or not it’s OK to re-route a runaway trolley so that it kills one person, who would not otherwise have been killed, rather than the five people it will kill if it’s not re-routed. In other words, the problem’s being far-fetched to the point of fanciful is of its very essence. They say that hard cases make bad law, but these hard cases were invented for the sake of the bad law. Bad law can be good intellectual fun — though of course it still is bad law. Those who engage in such moral speculations openly dare you to object that the situation they propose is so improbable as to make them ridiculous rather than serious. Sticking to the cinema, we might find another sort of comparison in a post-modern movie like Speed (1994), which likewise dares you to make fun of its bizarre set up. The city bus in that movie, you may remember, has been rigged up (never mind how) with a fiendishly clever bomb set by a pyrotechnical genius (played by Dennis Hopper), which is set to go off the instant the bus’s speed drops below 50 miles per hour as it travels on L.A. roads and highways where such speeds can rarely be obtained. It’s utterly absurd, but it so calls attention to its own absurdity as to disarm criticism and all but draw us in every time it, or Keanu Reeves, says, "What do you do? What do you do?" 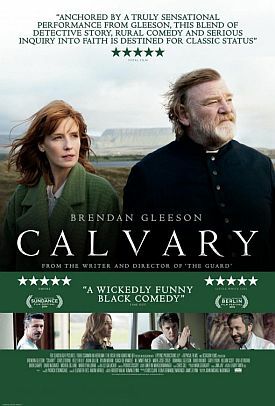 Mr McDonagh has done something similar in Calvary, which is said to be, after his earlier film The Guard of 2011, the second in a "suicide" trilogy. But he has added in a passive-aggressive fillip by also openly daring objectors to his filmic premiss to proclaim their insensitivity to victims of clerical pedophiles. One such, in the movie’s opening scene, appears in the confessional opposite Father James Lavelle (Brendan Gleeson), a priest in charge of a rural parish in picturesque County Sligo, Ireland, and tells him he is going to kill him — not because he has been an abuser but because he hasn’t. "There’s no point killing a bad priest," says the anonymous confessant, "but killing a good one! That would be a shock!. . . I’m going to kill you because you’re innocent." "What do you do?" Well, if you’re saintly Father James, you go prepared to meet your Maker, as well as your killer, at the latter’s proposed rendezvous on a deserted beach a week from Sunday morning. In the meantime, Father James has been given time to put his affairs in order and we have been given the main part of the movie in which to observe the currently strained relations between the Roman Catholic Church in Ireland and what purports to be the sort of typical Irish community of which, not long ago, it would have been the spiritual and cultural center. You will perhaps not be surprised to learn that there are plenty of others in this village besides the would-be murderer, whose identity we do not learn until the end, with bad feelings towards the Church as well as its local representative. In fact, the movie is set up rather like one of those murder-mysteries where we are meant to suppose that any number of people could be guilty because they all have some kind of motive for wanting the victim out of their way. But that’s where the big problem with the movie comes in. 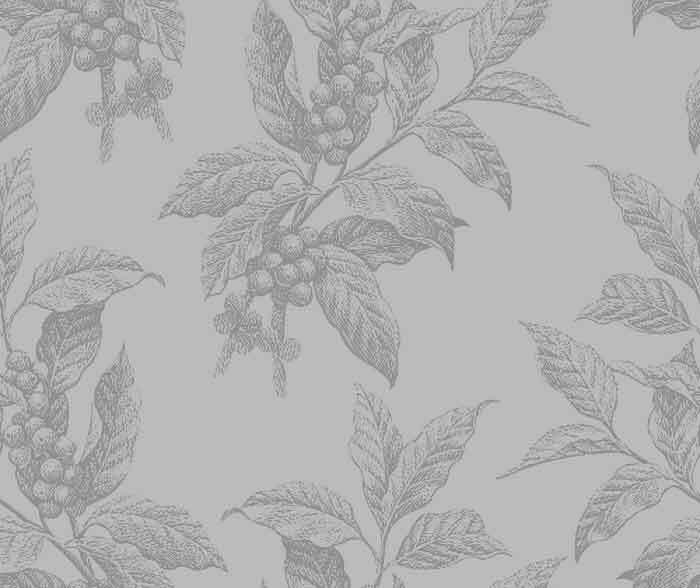 It stands or falls by the believability not only of the mysterious figure in the confessional — the perverse workings of whose mind are hard enough to see as plausible — but that of practically all its other characters, few of whom are allowed to emerge as much more than stock figures of the genre. Such, for example is the promiscuous wife (Orla O'Rourke) and her butcher husband (Chris O’Dowd), who may or may not beat her, not to mention her sullen West African lover (Isaach De Bankolé), who tries to shock Father James by insisting that Irish women like to be beaten. Then there’s the young man (Killian Scott) whose lack of sexual opportunity in the village gives him murderous thoughts that he thinks will be an advantage if he joins the army, a dying American writer (M. Emmet Walsh) in want of a gun to take his own life when the time comes, the gay police chief (Gary Lydon) and his wise-cracking American lover (Owen Sharpe), the atheist doctor (Aidan Gillen), the drunken, guilt-ridden banker (Dylan Moran) and the publican about to be foreclosed on (Pat Shortt) — not to mention the bishop (David McSavage), who seems strangely unperturbed about a death threat to one of his priests, and a mysterious-looking, nearly silent altar-boy (Michael Og Lane) whom the priest jokingly accuses of being a mafioso. And let’s not forget the fellow priest (David Wilmot) whom Father James constantly ridicules and belittles. Apparently we are not meant to think any the less of him for this, as the other priest is a bit slow on the uptake. I’m not even including here a gratuitous cannibal killer (Domhnall Gleeson) whom our priest goes to visit in prison. Because, don’t you know, even cannibals need spiritual sustenance. Besides Father James himself, the only unambiguously decent characters in the movie are his daughter Fiona (Kelly Reilly) — he was married before becoming a priest, but his wife died — who has recently attempted suicide and a young French widow (Marie-Josée Croze) to whose husband, the victim of a car crash, the priest has been called to give the last rites. Her re-affirmation of faith in spite of her personal calamity stands out in such sharp contrast to the endless grievances against God or fate or the Church nursed by everyone else in the picture that it appears to have the power to restore Father James’s own faith. But this moment of grace is bought at the price of so much skepticism that it is hard not to be pretty skeptical ourselves. The arrogant, nihilistic rich guy is so obviously a stage villain that he can hardly be intended to be taken seriously. And it’s equally far-fetched to see the man who goes broke owning the only pub in an Irish village as a sinister grievance monger. Clearly, he’s another kind of a comic caricature who has missed his calling. The movie at its best is a parable, a sort of Imitatio Christi for a movie audience grown jaded with a world heavily populated by cannibal killers and other lunatics. But in my view such lurid temptations of cinematic realism keep getting in the way of Mr McDonagh’s profession of faith. He himself has compared his film to "Bresson’s Diary of a Country Priest with a few gags thrown in," but the gags rather spoil any serious purpose he might have had, let alone any as serious as Bresson’s. Comedies always have a serious side to them, but the jokes should serve and not mock it.